SEW-EURODRIVE is a global designer and developer of mechanical power transmission systems and motor control electronics. 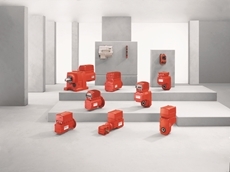 Our range of integrated solutions includes: geared motors, gear units, high torque industrial gear units, high-efficiency motors, electronic frequency inverters and servo drive systems, decentralised drive systems, plus engineered solutions and after-sales technical support/training. From materials handling applications, to drives for the mining industry, SEW-EURODRIVE can meet all of your power transmission needs. The intelligent and dynamic servo drive technology range from SEW-EURODRIVE delivers precision solutions that can be customised to suit your applicationDynamic MOVIAXIS® multi-axis servo controller Intelligent integration of Master Module, Axis Module and Supply Module technology High overload capacity Variant adaptable simple to complex kinematics motion control to suit your requirementsHigh powered MOVIDRIVE® B single-axis servo controller Reliable performance for vigorous applicationsBroad range of expansion technology and communication options for flexibilityEnvironmental energy efficiency functionSafety with standard category 3 EN954-1 certification Control quality MOVITRACLTX Smart servo inverter Cost effective enhanced component of the Smart Servo Package Highly efficient in speed controlled or standard positioning tasks within multi-axis applications Simple operation and cost effective for dynamic control quality in smaller machinery and module Precision CMP synchronous servomotors Versatile finely scaled motor range with a variety of frame sizes and torque stepsSafety options of mechanical emergency or working brakes High dynamic performance and precision positioning Low backlash PSF, PSC and BSF series servo gear units and gear-motors Planetary servo gear units PSC, PSF and helical-bevel servo units of BSF series offer minimal backlash combine with dynamic torsional rigidity for diverse applications Innovative Standard servo units and gear-motors integrated with 7 series Versatile 7 series can be mounted directly onto servo motors to create a variety of high performance servo gearmotors including servo helical gear-motors, servo helical-bevel gear-motors, servo parallel shaft helical gear-motors and mounted via third party servo motor through adapter Energy efficient CMS electric cylinder Sustainable with reduced energy requirements as a high performance alternative to pneumatic and hydraulic cylinders for controlled accuracy and flexibility Distinct solutions with intelligent engineering, Servo Drive Technology offers flexible products to revolutionize your drive system. Gear units, geared motors and AC motors from SEW-EURODRIVE deliver increased reliability and efficiency to your application.Versatile product range, Standard Gear Units and Gear-motors to suit a variety of sizes and reduction ratios High efficiency RX and R series helical from fine graduation variety torque ratingsSlim line F series parallel shaft helical for restricted spacesRight Angle K series helical-bevel for minimized installation space and durable wear-free gearingCost effective S series helical-worm and wheel gear set offers increased efficiency and low noise emissionLightweight and hardwearing W series SPIROPLAN® right angle designs for an affordable solutionHygienic ASEPTICplus reduces bacteria development with fin-less and fan-less designAcid and alkaline resistant Stainless Steel Gear Unit Variants for high quality efficiencyCorrosion proof TorqLOC® hollow shaft mounting system for intensive demanding environments Intelligent DR series AC Motors deliver reliable efficiency for a broad range of industrial applications Proven efficiency AC asynchronous motors DR Series exceed IE2 high and IE3 premium efficiency classifications per IEC 60034-30 Powerful load and high overload capacity DRL asynchronous servo motor High performance BE modular brake system with fail-safe electromagnetic disk brakes and optionsInnovative encoder options from simple built-in incremental, to high performance absolute encoders for precise positioning applications. 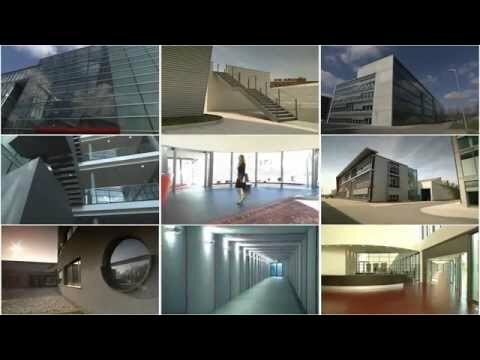 Comprehensive services with unique solutions, SEW-EURODRIVE create a reliable support system for you to drive your business. Available as stand-alone or complete drive packages, SEW-EURODRIVE’s range of industrial gear units offers flexibility with intelligent modular design to suit your requirements.High performance helical and bevel-helical gear units with MC Series Compact design for minimal space installation Versatile 8 model size options to suit your requirements Powerful maximum torque 6 to 65 kNm capacityCompact planetary P Series gear units Decreased size for increased torque output Diverse compatible option range with modular design Comprehensive 11 size range available Efficient maximum torque of 24 to 500 kNm Hardwearing X Series for cost effective high density power Durable housing construction helical and bevel-helical gear units Low operating costs and lightweight density for controlled power in 15 stepped sizes Enhanced cooling systems and thermal housing options to suit your needs Options of two mounting positions with single version for installation ease Reliable maximum torque capability of 58 to 475 kNm Customised IG and XP Planetary gear units for up to 60 tonnes in weight Industrious 5,000 kNm maximum torque force Comprehensive helical, bevel helical, torque split units and planetary options for demanding industrial integration Robust housing sizes of up to 4m height and 8m length Manufactured with quality control from in house technologies and factory load testing Complete solutions with Industrial Gear Integrated Drive Packages Constituting of compatible gear unit, couplings, drive base, motor and guarding components for an all inclusive option SEW engineered steel drive base locally designed for Australian conditions Completely mounted to base laser aligned for total reliability and ease Mining Drive Gear Units Helical and bevel-helical gear units Purpose designed for increased thermal rating Reduced energy consumption Horizontal split housing Low running temperature Long oil life Safe-touch surface Maximum torque: 58- 475 kNm SEW’s Heavy Industrial Solutions division, located in Melbourne is equipped to assemble and services large drives, gear units and complete drive packages.The state-of-the-art facility includes cranes capable of handling 50 tonne loads and an automated two-pack paint line giving epoxy paint as standard.This facility allows SEW to produce and services their products quicker than ever before. Please call 1300 739 287 for more information. Reducing implementation expenses, project management, maintenance and production down time, decentralised drive technology from SEW-EURODRIVE offers you a reliable system for demanding industrial applications.IP66 ingress protection MOVISWITCH® gear-motor with electronic motor start switch Enhanced switching and protection function for simple start/stop motor control and binary control of motor signal direction AC motor or brake motor combination with integrated brake controlMotor protection MOVIMOT® gear motor with integrated frequency inverter Intelligent V/F or Flux Vector operation mode Access safety with IP66 ingress protection for reliable hygiene standards Effective integrated brake control and EN954-1 Safety Category 3 standard Versatile solutions product range including pumps, conveyors and fansPremium efficiency with permanent magnet motor MOVIGEAR® mechatronic drive system Singularly housed motor, gear unit and electronics for a complete all inclusive premium efficient solution Options of hollow or solid shaft versions to suit your application Diverse control options including S-Bus, Binary and Industrial Fieldbus Field mounted MOVIFIT® decentralised drive controller Integrated industrial fieldbus Optional isolator in 3 innovative design optionsHardwearing aluminium exterior with water resilient designDependable safety with protection up to 69K on HygienicPlus model Industrial Fieldbus Communication components for drive systems Diverse Fieldbus interfaces, mounting options and hybrid cables to connect MOVIMOT®/motor and fieldbus distributors. 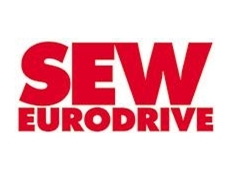 04/04/17 - SEW-EURODRIVE announces that the 2017 calendar for their nationwide motor and drive program DriveACADEMY has commenced.SEW-EURODRIVE’s DriveACADEMY training courses are designed to prepare motor and drive users for tasks and problems they may face during any given working day. SEW-EURODRIVE’s Technical Training Manager Michael Stranieri explains that the DriveACADEMY training courses raise the level of expertise among motor and drive users. Incorporating basic theoretical principles and practical exercises, the courses cover a wide range of topics, including selection and project planning of SEW gear motors; and product specific courses providing insight into the implementation of some of SEW-EURODRIVE’s most popular technologies. Participants can benefit tremendously from these courses including being able to test all of the functions of a drive in a safe training environment, which may not be possible once it’s installed onsite.One of SEW’s most popular courses is the MOVIDRIVE B operation, start-up and troubleshooting, which Stranieri says is tailored for systems integrators, project engineers, electricians and service engineers. 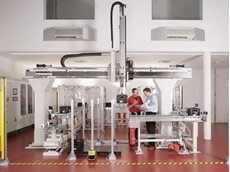 The course covers everything from starting up a motor in VFC operating mode to complex analysis and detection of faults and fault finding.According to Stranieri, the functions associated with MOVIDRIVE B frequency inverters are customer-specific and can only be discovered with hands-on training. He adds that the troubleshooting component is popular with trainees as the training simulates the majority of inverter and motor specific faults to figure out the best methods of resolution.The 2017 schedule includes a number of upcoming courses in April, May and June. Explore the DriveACADEMY course schedule or register for a training session via SEW-EURODRIVE’s customerwebsite. 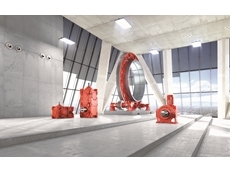 03/06/15 - SEW-EURODRIVE plans to launch a new range of industrial gears at the upcoming Asia-Pacific’s International Mining Exhibition (AIMEX) in September.Combining the best of two industrial gear designs, SEW-EURODRIVE’s new P-X Series offers the advantages of planetary gear units as well as the X Series bevel helical gear units. 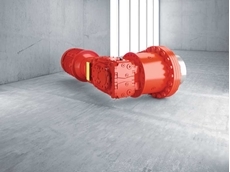 The integrated intermediate flange enables the P-X range to offer compact drives with lower weight and greater stiffness for a torque range of 100-500 kNm.The P-X drives can be used in applications that demand high performance and torque in a compact package; for example, as drives for bucket-wheel reclaimers, apron feeders, crushers or compact belt drives.Key features of the P-X bevel-helical planetary gear units include choice of seven sizes covering a torque range of 100-500 kNm; gear ratio range extending from i = 160 to i = 550; shared oil chamber and thermally optimised housing supporting high thermal ratings; usage in low temperature applications below -25°C possible in conjunction with heaters and heating mats; inspection covers fitted on both sides of the symmetrical invertible housing; and motor adapters compatible up to motor size IEC 355 with 500 kW.SEW-EURODRIVE offers the option of various motor adapters with fans and free input shafts among other features on the input end. At the output end, standardised output shafts are available as hollow shafts with shrink disks, solid shafts with keys or as smooth models. 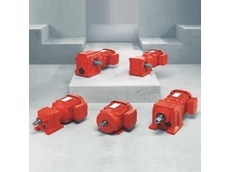 Installation options include foot- or flange-mounting or shaft mounting with a torque arm.Key advantages of SEW-EURODRIVE’s P-X Series bevel-helical planetary gear units include high gear unit-specific thermal ratings resulting in savings in cooling systems; standardised products allowing short delivery times; proven solution based on many drives in the field; and complete drive systems with motor scoop or motor adapter saving weight and costs compared to swing-base solutions.The new P-X Series will be launched by SEW-EURODRIVE on Stand 1311 at AIMEX, Sydney Showgrounds, 1-4 September, 2015. 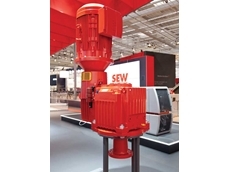 14/05/15 - The new application gear units for agitators will be showcased by SEW-EURODRIVE at the upcoming Asia-Pacific International Mining Exhibition (AIMEX) in September.SEW-EURODRIVE’s X Series Agitator range is purpose built for agitating and mixing within the mining and minerals processing industries, especially in applications that require high bending moments combined with high levels of torque.In addition to the torque that has to be transmitted, high radial or axial forces are often brought to bear on the output shaft. 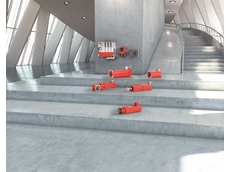 With a flexible product concept, SEW-EURODRIVE offers a standardised solution with load-specific bearing and output shaft combinations.Designed to perform in extreme conditions such as high ambient temperatures or ATEX environments, the new X Series Agitator gear units are available with different options based on the load criteria.For light loads:SEW-EURODRIVE offers a model with a universal housing for helical gear units and bevel helical gear units performing in a 6.8 - 475 kNm torque range. Available as 2- to 4-stage helical gear units and bevel helical gear units, the solution is based on the combination of a universal housing with reinforced bearing design.For medium and heavy loads:SEW-EURODRIVE offers two models in a 22 - 90 kNm torque range, featuring a roller bearing design with increased bearing distances. All drives are suitable for use in ATEX environments and can be combined with the standard options of ‘drywell’ seal, pressure lubrication/oil bath lubrication, rigid flange coupling, fan cooling, and foot- or flange-mounting.Available as a 3-stage helical gear unit, the solution has an increased thermal rating thanks to the use of an optimised vertical housing with cooling fins and axial fans.SEW-EURODRIVE’s new X Series Agitator range will be showcased at the AIMEX on Stand 1311, Sydney Showgrounds, 1-4 September, 2015. 22/01/15 - SEW-EURO­DRIVE's ability to produce two 500 kW gearboxes in under a week meant a ­major coal handling and preparation plant (CHPP) in Queensland could continue to operate without any downtime, after experiencing a catastrophic failure with one of the gearboxes operating the train loading conveyor belt.And to make matters worse, the failure happened at one of the worst times of the year, at the lead up to Easter 2014. The gearbox failure meant that no coal could be loaded for rail transport to the waiting ships offshore. ­However, with the vital assistance of SEW-EURODRIVE the mines were able to avoid any downtime and continue production. With limited storage space for the coal, it was vital the train loading conveyor belt was operational as soon as possible to avoid shutting down production at the mine; a very costly proposition. Ben Vandenberg, Sedgman's CHPP Superintendent, explained that when the gearbox eventually failed completely, he had exhausted all the spares he could get from anywhere in the world. "In the end it came down to finding a company who could supply replacement gearboxes as quickly as possible." With SEW-EURODRIVE ­holding one of the largest range of spare parts in Australia, valued at over $25m, Vandenberg knew that the leading power transmission company would be able to supply replacement gearboxes quicker than any other power transmission company. "It was vital a replacement was found, we had no way of getting coal off the site, and the costs were adding up very quickly with demurrage and other penalties involved with the rail and shipping contracts," he said. "In the end we had the conveyor up and running a day ahead of schedule, and actually commissioned it with a train load of coal. "We didn't even get a chance to run the conveyor without coal on it, but it operated very well first up, and still is." Vandenberg said the whole project was like a military operation with so many different people involved. "As well as SEW-EURO­DRIVE, our engineering team in Brisbane was heavily involved." He said he was very impressed with how SEW-EURODRIVE was able to assemble the two gearboxes in such a short time, especially considering the circumstances and with it being Easter. "And from a company they hadn't dealt with before." "In fact I have been very impressed with the whole SEW-EURODRIVE operation, with both gearboxes performing very well. This time SEW has put temperature sensors on them to monitor their operation," Vandenberg explained. Military precision Chris Smith, SEW-EURO­DRIVE's Industrial Gear Product Manager for Queensland, said the project didn't really get underway until mid-morning on the Wednesday before Easter, April 16, when he received an urgent call from the company saying they needed the conveyor up and running in just 10 days. "We knew there were problems with the gearbox, but at the time we were advised that short-term repairs were able to be made. However, that soon changed when the major shaft inside one of the gearboxes failed." Smith explained that there are two 500 kW gearboxes on the one conveyor, and while only one had failed, that effectively meant two were needed, because it's not possible to just replace one. Apart from being such a very tight deadline, the other problem was the four-day Easter break plus Anzac Day was within those 10 days and Smith knew SEW's production people in Tullamarine were planning to close for that period. "We had no plans to build any gearboxes in that 10-day period, let alone two 500 kW conveyor drives." He said it was not just the two Mining Drive X3KR220HT gearboxes they had to build but had to get drive base plates fabricated from scratch, high and low speed couplings, coupling guards, torque arms, and all mounted and aligned with the clients free issue motors. "When we looked at what was needed to be done to meet that deadline, it was incredible. All in a week, effectively." Smith said a project like this would normally take four to five months to put together. "However we recognised the importance of getting this conveyor operating again and were able to meet this incredibly tight deadline." To start, Smith needed to see how they could build the gearboxes, and to make sure they had the parts. Secondly he had to have the workshop staff come in over that Easter break, "which thankfully they did, both here in Brisbane, where we co-ordinated the project from, and in our Tullamarine Head Office where the gearboxes would be built". Smith explained that each conveyor drive assembly includes a motor, a high speed coupling, a gearbox, a low speed coupling, and guards, all mounted on a steel base plate, with a torque arm underneath it. "Once we knew we had all the parts, we had to find a drawing to manufacture the base from. Luckily we had produced a similar sized base previously so we were able to modify the drawings from the previous job. "If we had needed to go through the whole design drawing process, it would have taken at least a week or two to get the drawings to fabricate the bases, but we were able to modify the drawings we had in six hours or so." Once Smith had the drawings it was a matter of finding a fabricator prepared to work over Easter. "Luckily we have a good sub-supplier we use regularly and they came to the party and did a fantastic job to make it over that Easter break." Smith admits there were a lot of things that could have gone wrong, but said he was thankful they didn't. "We had to pull a lot of things together to coordinate the project to make it happen." Another problem the SEW-EURODRIVE team faced was they didn't have enough of the special steel needed for the base plates. "Again luck was with us, and we were able to source some in Newcastle, NSW, and get it up overnight to the fabricator here in Brisbane." Smith explained that the pro­duction team in Tullamarine ­started building the drives straight away after they had received the order at 1pm on Wednesday, April 16. At lunchtime the next day, April 17, assembly of the first unit was well advanced, and by mid-afternoon, the first unit was in final assembly. Incredibly that evening, the first unit was being tested and by the close of April 18 (Good Friday) the team had one of the units fully completed, and the second unit test running. Next morning (Easter Saturday) at 10am the team had both gear units on a truck ready for freight to SEW-EURODRIVE's facility in Brisbane. Meanwhile the Brisbane facility had been manufacturing the drive bases and low speed coupling guards. By April 21 (Easter Monday) the gear units and drive bases arrived in Brisbane, along with the free issue motors, so assembly and alignment to bases could commence. By 6pm the next day the drive assemblies were completed and on a truck to the CHPP facility. "Incredibly the drives were completed in just six and a half days, and that included Easter," Smith said. "No one could have done that; build two 500 kW gearboxes in such a short time frame. I don't even know how we did it. But it all came together perfectly. "Actually, we managed to do it because we have a fantastic stock holding here in Australia; over $25m worth of spare parts."